So I went for my first facial treatments (Aqua Peel and Laser Toning) in South Korea for the first time 3 days ago and I am so excited to share about it! Before I begin, my first thought is how I regret not trying it earlier so that I can schedule more treatments before I go back to Singapore in February! I've always wanted to try some of these treatments while in Seoul because they are much cheaper compared to doing it in Singapore. After months of on-and-off research, I decided to make an appointment at Maypure Clinic in Gangnam, Seoul. 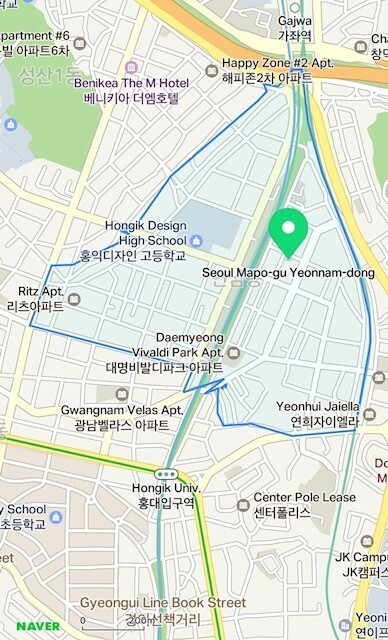 Maypure has over 10 clinics all over Seoul so it's really convenient for anyone staying in Seoul. I tried calling them but the line was constantly unavailable so I decided to message them via KakaoTalk (if you have KakaoTalk installed, you can click on the icon on their Korean website here). You need to have a consultation with a doctor first. I was assigned an English-speaking doctor who basically just asked me what I am interested in doing and then he went on to explain how each treatment works and the benefits and that's it, I washed my face and started with my first treatment. I did the 2 top treatments in Korea - Aqua Peel and Laser Toning. It's painless, lasts for about 10 minutes and the redness goes away rather quickly. After the Aqua Peel, I went straight for the Laser Toning treatment. This treatment consists of the laser process which lasts about 3-5 minutes for the entire face, followed by application of 2 different creams. Regular toning is said to boost collagen production, improve skin tone, lighten pigmentations etc, you know, the usual anti-aging stuff. I'd seen people talk about laser toning and that it wasn't painful so I was nervous but I wasn't expecting any pain. BUT I'm such a wuss it was painful for me. I stuck it up and endured it telling myself 'no pain no gain' a million times before the treatment ended. After the treatment ended, I was like 'okayyyy it wasn't thaaattt painful', just a strong prickly feeling plus smelling something burnt (I guess it was my skin? But once again, this treatment has ZERO downtime. I don't know what was being lasered and burned but the redness lasted 30 minutes). They told me to apply moisturizer and sunscreen before I leave, and that I MUST apply sunscreen everyday after. They also told me these 2 treatments can be done weekly but I think I will probably do it once every 10-14 days to see some results. There was no hardselling of any packages. The AP and LT treatment cost 22,000won each (approx. USD22, SGD27). I know it's really cheap compared to doing it in, say Singapore, but I have to manage your expectations in terms of what you will be experiencing. The treatments are very 'tactical', you get what you order and that's it. There's no pampering face massage or whatsoever. It's a clinic, not a spa. To be honest, every such treatment requires regular maintenance in order to see results so while I don't expect much after just doing it once, I do feel that my skin is smoother and brighter today (day 3). In fact yesterday I didn't put on make up, just lots of sunscreen and concealor under my eyes and yet I felt my skin looked really nice overall. I would encourage anyone with some free time to spare in Seoul to go for an AP because it's always good to exfoliate, and it's fast, cheap and has no downtime. You can go on with your sightseeing and shopping immediately afterwards. I am planning to schedule at least 3 to 4 more treatments before I return to Singapore so I hope to share some before and after reviews (if it all works out haha). 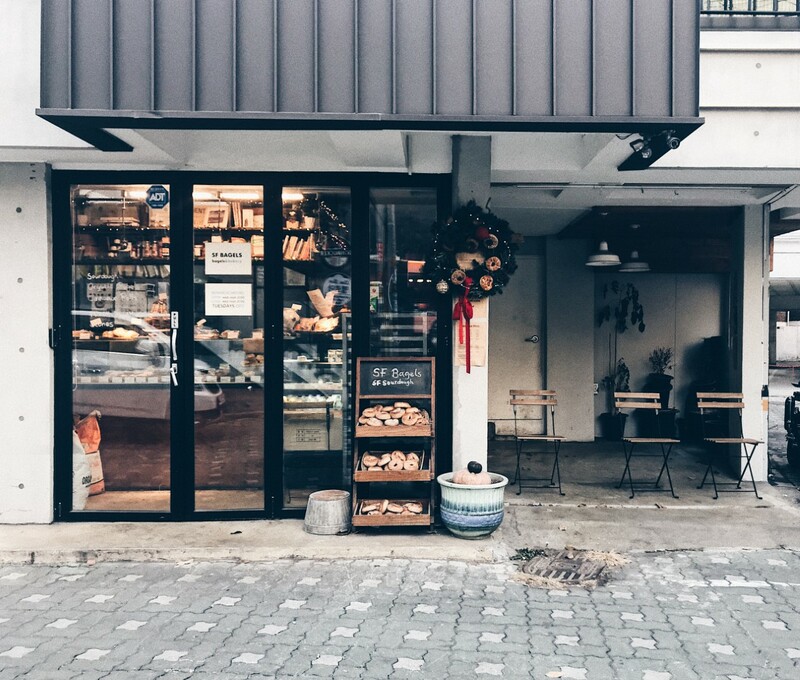 During the Korean Thanksgiving holidays, almost every cafe in Seoul were closed but a friend and I managed to visit a few which were still open. One of them is Parched Seoul in Itaewon. 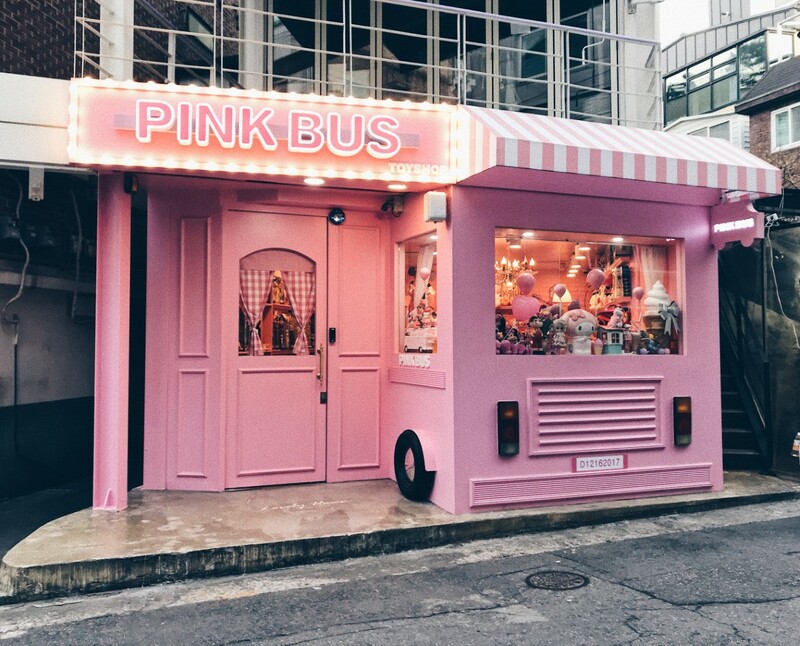 I reckon Itaewon is a good place to visit during any major Korean holidays because it's the 'international' area which is likely to stay open for foreigners in Seoul. 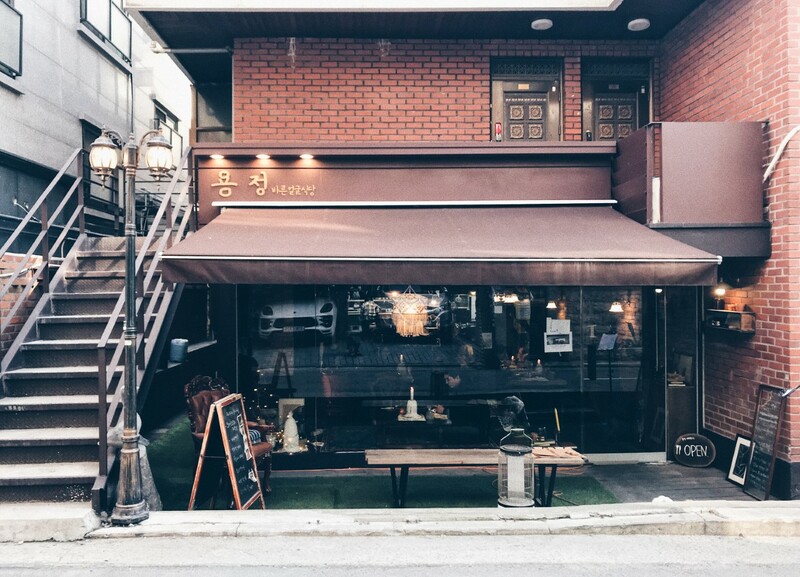 What I liked about this cafe is that by looking at the exterior, you would never know this is a cafe. 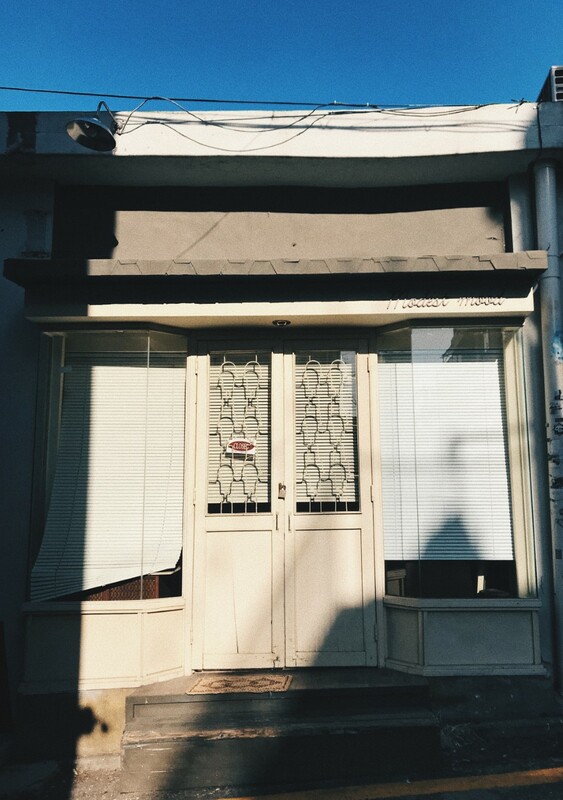 It is nested in a residential area, in fact the facade looks like somebody's home too. 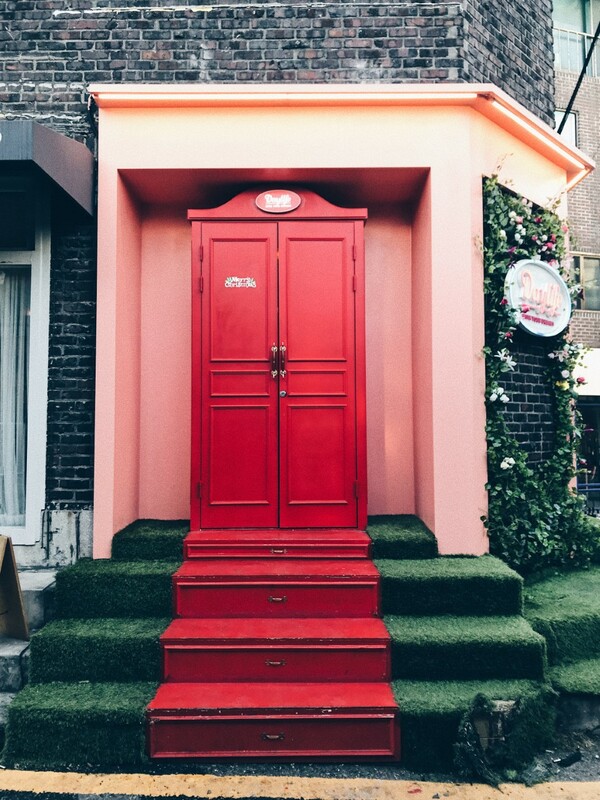 Once you step in, it's like entering someone's home. The ordering and barista counter is small and informal, with a variety of seats settings indoors. 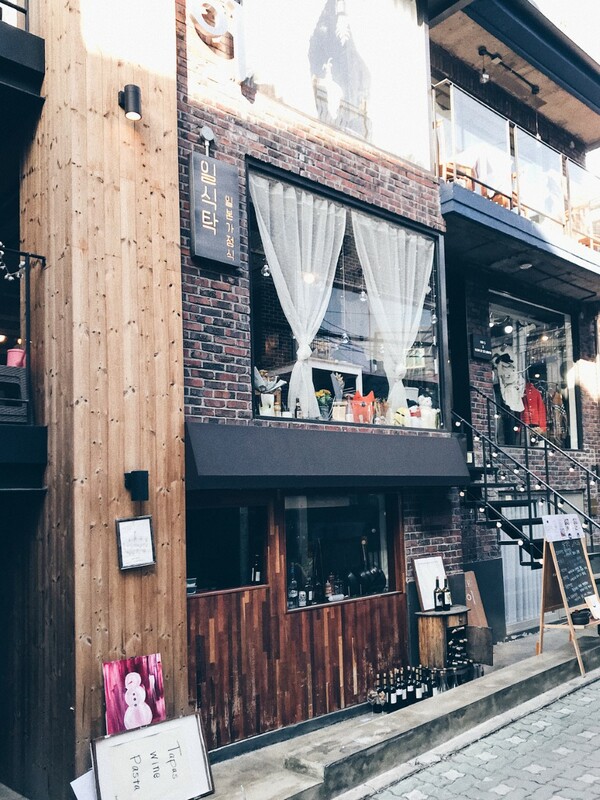 After coffee, we explored the quaint little neighbourhood before making our way to the main Itaewon area, and then to Hannam-dong, the more hipster and somewhat more indie part of Itaewon well known for its cafe and little shops. 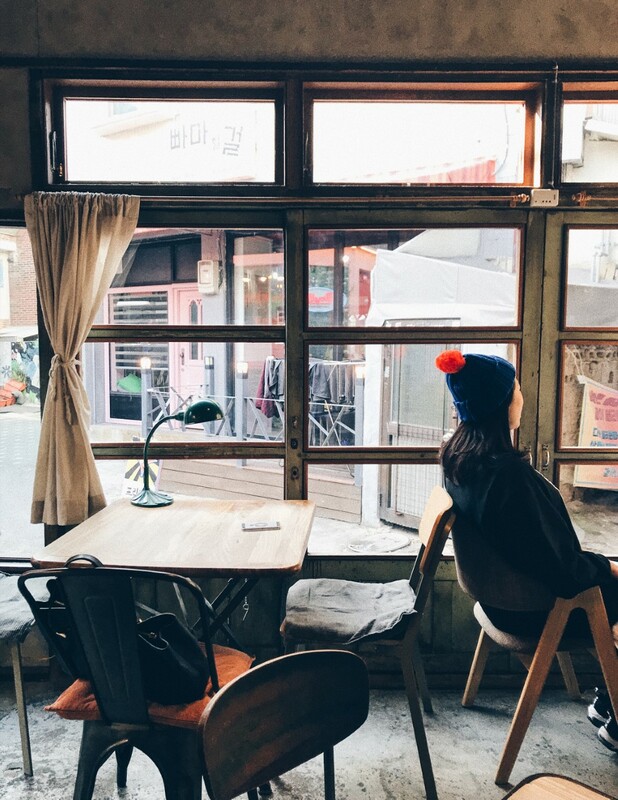 I enjoy visiting cafes not for the coffee, but rather the whole idea of sipping something, being in the moment with nothing to do and nothing to care about, and to people watch, wondering what they are doing, what they are thinking of. 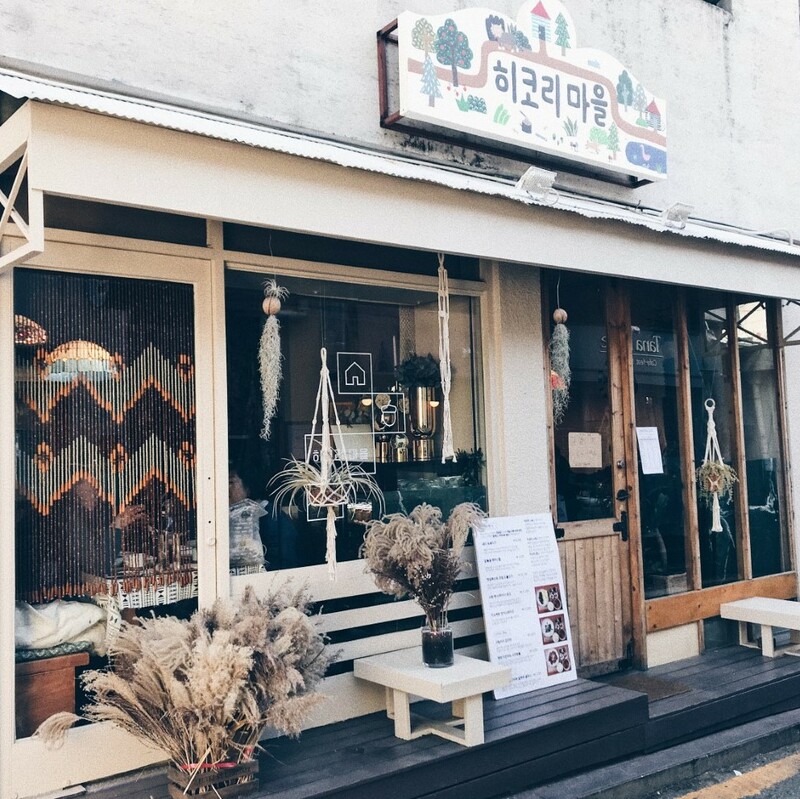 Since I live about 1 to 2 hours away from central Seoul (where there are so many more exciting cafes to be found and explored), I am always looking out for nice cool cafes here at Osan/Pyeongtaek. 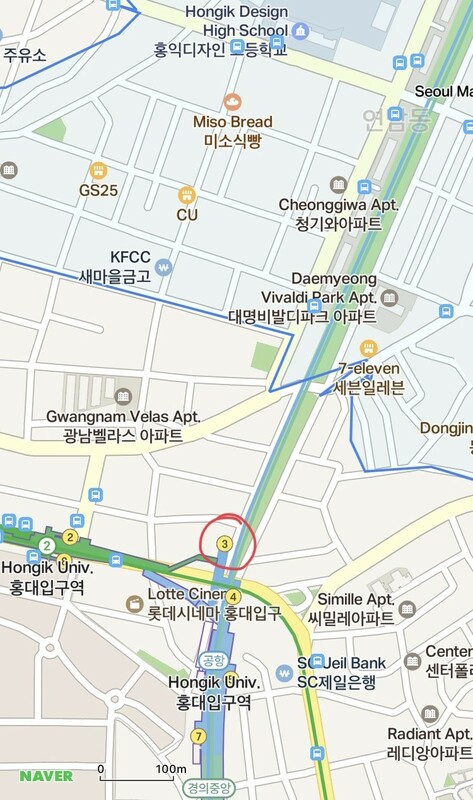 And here at Pyeongtaek, I found Of Coffee by chance and I've been going there whenever I am in the area since. The cafe has 2 levels, minimal decor and some plants, hitting all the right spots of what I like about cafes. 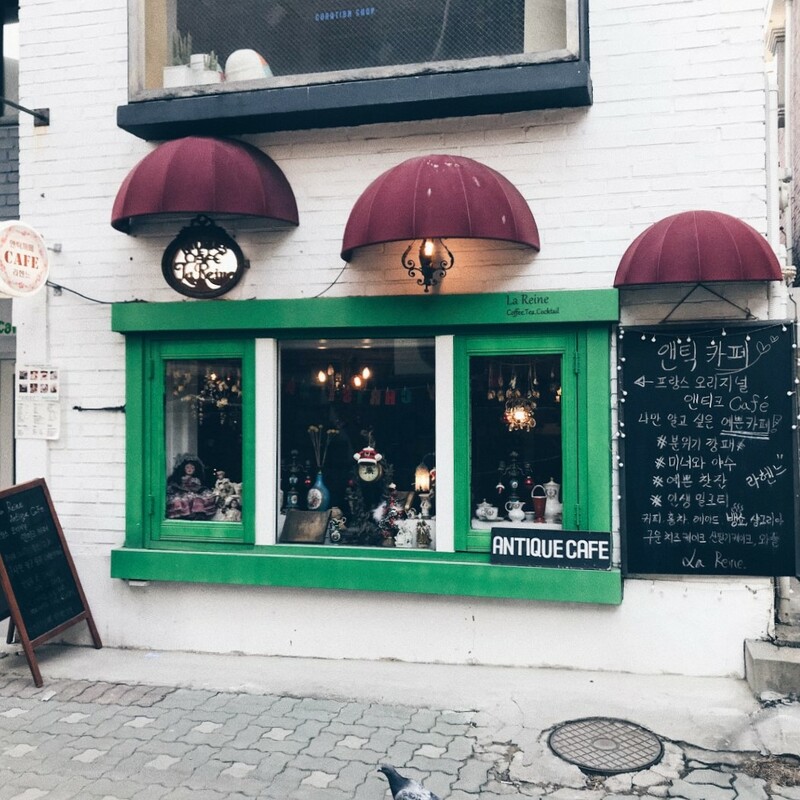 On a side note, Anthracite in Itaewon is really worth the visit (good coffee + nice decor) but I didn't manage to snap any pictures the last time I went. Before summer really ends, I really wanted to go to the beach. While I heard of really nice beaches near Incheon, I found some information about Jebu-do (제부도) near Hwaseong-si, about 1.5hours away from where we are living and the bf, surprisingly, agreed to take me there! Just when we were about to cross the bridge connecting the mainland to Jebu-do, the bf remembered that we had to check the tide timing because the bridge is submerged in waters during high tide. We got there around 4pm which was still high tide so we had to detour a bit to another area for some sightseeing before crossing the bridge at 5.30pm so REMEMBER TO CHECK THE TIDE SCHEDULE before going! Kitty doing business on the beach! The wind got pretty chilly during sunset and that's when I know, summer is going to be over! In fact, it's already early autumn. I just dumped my shorts into the washing machine, knowing that it's gonna be all pants and jeans from now on. And soon, it'll be sweater weather, dry skin and cracked lips. Dear Winter, please be kind this year. I've been really busy back home and now that I am back in South Korea, I think I will have more time to resume writing about my life here once again! The boyfriend just moved to a new neighbourhood and I haven't stepped out since I landed on Monday night. I'm getting used to the new home, and I hope to start exploring the outside soon! 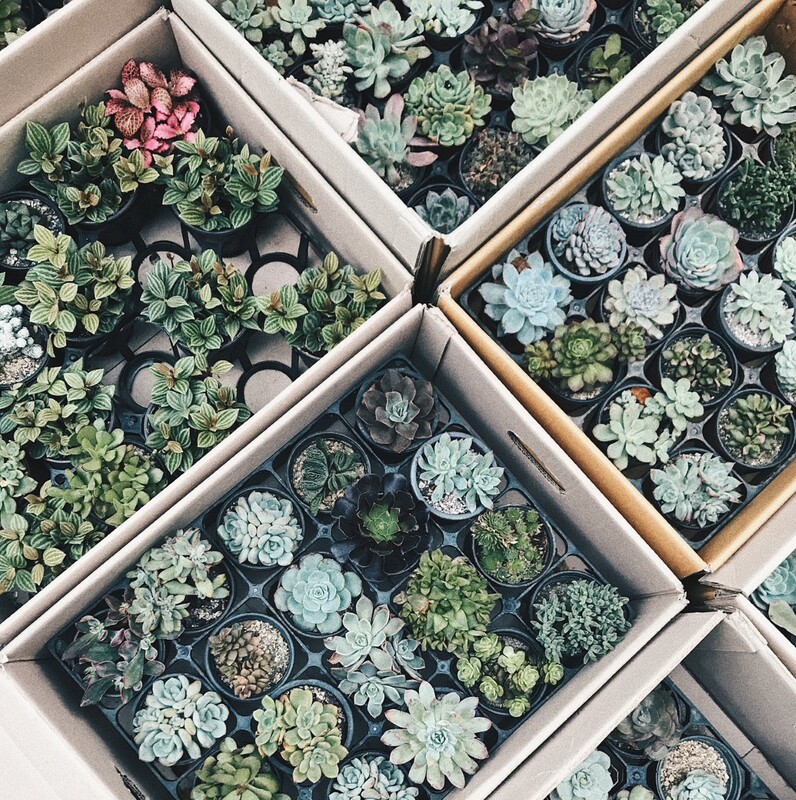 In Singapore, I had the chance to help my friend who runs Curious Creatures, a jewelry shop based locally which has both online and offline presence. Working for her was extremely fun because I get to try all the jewelry she has created but that gave me huge pocket problems when I wanted to buy everything I tried so I had to practise a lot of self control! Combining some necklaces I bought, I tried the layering trend and I really liked it. I think the trick is to layer similar metal colours, and pieces with similar chain thickness. The top one with a little crescent is from Stonehenge Korea so the chain is a little thinner and look maybe a little out of place? I am definitely looking to grow my necklace collection to do more layering in future! For now, I'm saving these pieces to my wishlist first!